The BCF Managers by KUBUS add BIMcollab® connectivity as well as BCF file support to Autodesk® Navisworks®. It provides the ability to create and modify issues and communicate these through BIMcollab or via BCF files (supports version 1.0 and 2.x) directly from within Navisworks. The BCF Managers are available for other popular BIM tools such as Revit, ARCHICAD, Solibri Model Checker, Tekla Structures and simplebim. Together with our web application, these form the BIMcollab® issue management ecosystem which provides an effective way to communicate BIM issues and thereby providing a more efficient workflow. Issues can be created directly from the Clash Detective as well as from Saved Viewpoints. A free BIMcollab account is included with the BCF Manager. 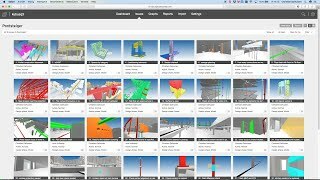 You can publish and manage issues in the cloud, and share them with others directly from the Navisworks plug-in or using the web interface. Produtive tool, speeding up the project agility.